New Honda Civic Hatch 1.6 Diesel Executive launched in South Africa. The Honda Civic 1.6l i-DTEC has been launched as the perfect choice for the buyer looking for space, power, performance and economy. At Mekor Honda we’re really excited about this addition to the Honda range, and would love you to come by and take a drive. The 1.6l i-DTEC is the first engine globally with Honda’s new Earth Dreams Technology which will be applied to all future engines. It boasts an excellent 88kw of power and 300 Nm of torque with CO2 emissions of just 109 g/km. Lightest diesel engine in its class: The new engine weighs an amazing 47kg less than Honda’s 2.2-litre i-DTEC engine! All the components have been redesigned with advanced production techniques to minimise their weight. The 6 speed manual transmission system is 7kg lighter than the transmission system in the 2.2-litre i-DTEC helping the engine to produce maximum torque of 300 Nm. It delivers the best transmission efficiency in its class, a smooth, accurate feel when changing gears, and a new reverse system for improved operation load and quietness. 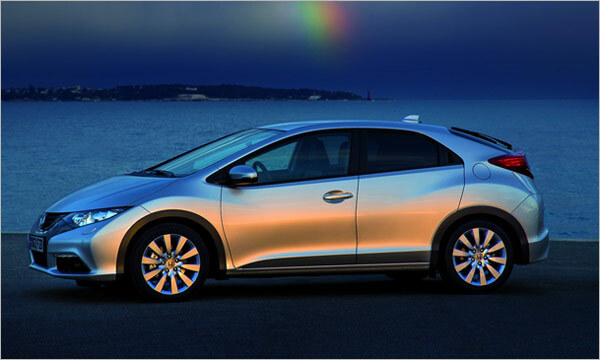 The 1.6 Honda Civic Diesel engine will be available in the Executive grade with 6 speed manual transmission. The entire Honda Civic Hatch range will now receive rear strakes and emergency brake lights to improve overall aerodynamic performance. Yet another engineering master-stroke from Honda! At Mekor Honda we’re really proud to be offering the Honda Civic 1.6l i-DTEC and would invite you to make an appointment with your local Honda dealer as soon as possible to drive the new Honda Civic!